While there are several economic reports in the US to influence GBPUSD such as JOLTS Job Openings , DOE Crude Oil Inventories, DOE Distillate Inventories, DOE Gasoline Inventories and Monthly Budget Statement the GB is releasing RICS House Price Balance. 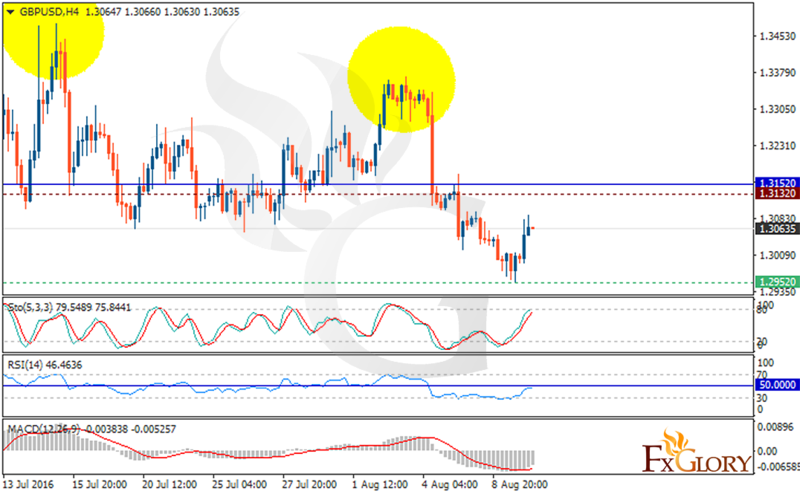 The support rests at 1.29520 with resistance at 1.31320 which both lines are below the weekly pivot point at 1.31520. The RSI is falling down below the 50 level, the MACD indicator is in negative territory and the Stochastic has reached its maximum amount so we expect pullbacks soon. Sellers can target 1.29 area at the moment.